My latest game, Traitor, has just been released. 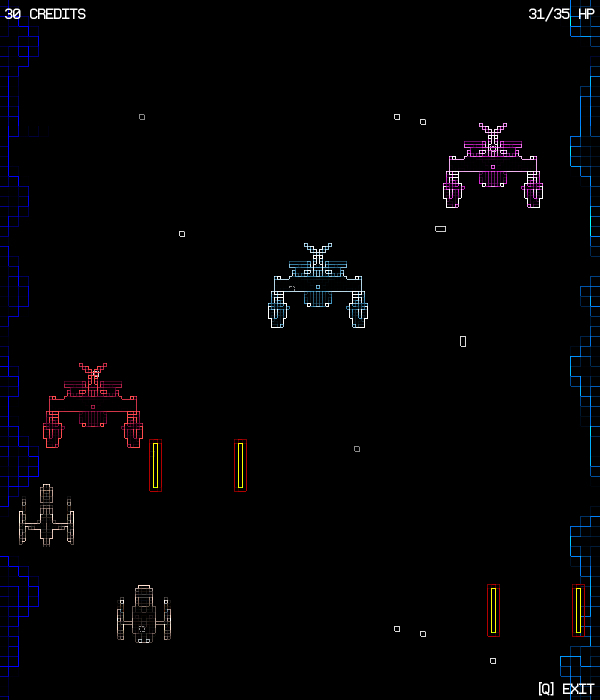 It’s a casual shoot’em up set in a universe not quite like ours. The music, which rocks, is by Chris Davis. Traitor is what you might call a casual game. Its focus is on that simplest of formulas: do a mission, upgrade your ship, do more missions, upgrade again. It has this gameplay because I enjoy this gameplay. Not because I think it’s all that games should be, but because it’s one form of gameplay I genuinely enjoy. Some people may find this doesn’t fit with their idea of the indie ethos – Traitor doesn’t innovate. Or at least it doesn’t innovate in terms of gameplay. It’s not some mindbending, chaotic bullet hell game, it’s not the-shooter-as-visual-art. It uses a fairly common formula, because I like that formula. But if I like that formula, I dislike what so many games do with it, or rather what they don’t do with it. I like spending a couple of hours upgrading my ship and blowing stuff up while collecting achievements, but I don’t like it when there is no meaningful context to this gameplay. Perhaps it’s the same reason I love strategy games but chess doesn’t really do it for me: I like narrative, even if it’s only worldbuilding. And that’s where Traitor is different from many similar games, at least to me personally. There’s a world in this game. There are themes and ideas; you may be doing the same old missions, but you’re doing for them for different reasons. I might elaborate further on how I designed this game at a later date. For now, the Aventinus Complex awaits.